In this time, i took an abstract photography about education with black and white touching. 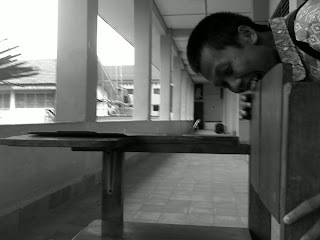 "Eating Bench" or Makan Bangku in Bahasa Indonesia is idiom about people who attending education institute. Thanks for Mr. Arsyad for being the model.